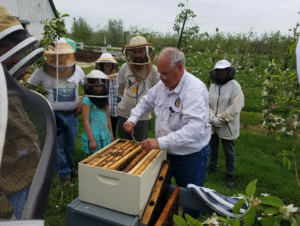 The Frederick Backyard Beekeepers Association (FBAA) was established in 2017 to encourage the development of programs for all levels of Apiculture experience. Frederick Backyard Beekeepers Association. Programs are offered throughout the year by experienced and professional beekeepers. Summer classes are taught at the home apiaries of the members. Winter classes meet at the Emanuel Church of Korea on Yellow Springs Road in Frederick, MD. 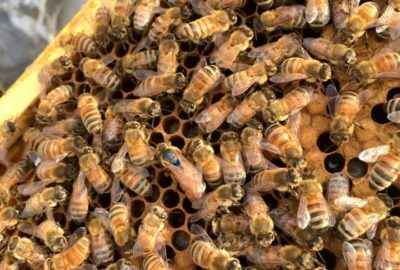 FBBA offers classes in honey production pollination, equipment, queen rearing, overwintering nucs, mite inspection, etc. Call us at 301-639-1894 or contact us for a schedule of upcoming classes and tours. 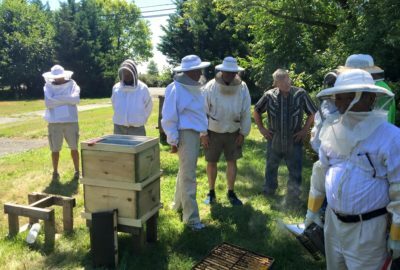 The Association sponsors summer tours of commercial beekeeping operations and to the Eastern Apiculture Society annual meetings. 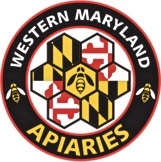 Western Maryland Apiaries in the current sponsor of FBBA through 2020. Sponsorship opportunity is open to all apiculture oriented businesses.